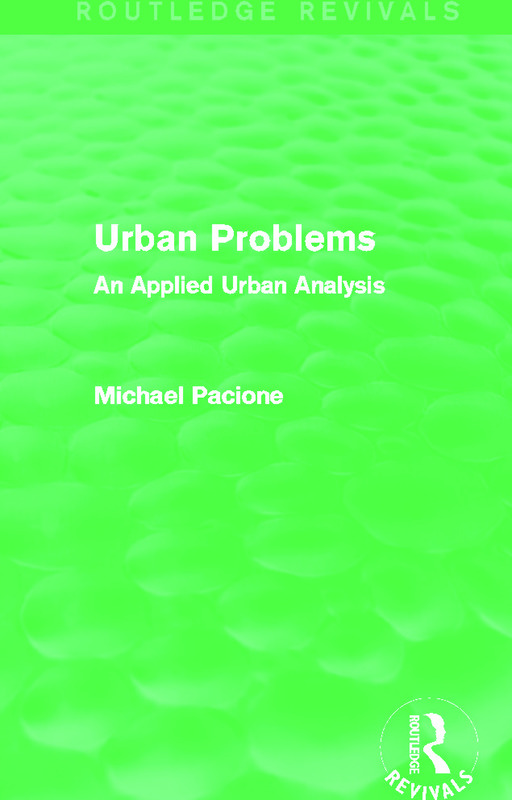 Urban problems and their resolution represent one of the major challenges for planners and decision makers in the modern world. This book, first published in 1990, makes a major contribution to the field, presenting an international and interdisciplinary approach to the challenges presented by the urban environment. The coverage is comprehensive, ranging from the economic and political dimensions of the capitalist system, to the issues of poverty and deprivation and questions about housing equity. This is an essential reference guide to social, economic and environmental problems in urban areas, which is of great value to students of planning, urban studies, geography and sociology.